We believe that the privacy of our customers and users should be crucial. For this reason, we implement a transparency policy to all our processes so that users are always informed and have control over their privacy. Please read carefully each one of these terms that aim to regulate access and use, and in general, the relationship between this website and its users. MIWUKI S.L. guarantees the respect of the guarantees, rules, and procedures provided in the Legal Order to protect the rights to personal and family privacy and the protection of personal data. For the provisions of the Organic Law on Data Protection 15/1999, of December 13th, on the Protection of Personal Data, MIWUKI S.L., informs you that the data that you voluntarily provide will be incorporated into a personal data file, declared to the Data Protection Agency. This file has implemented all the security measures required by the regulations. Under the Regulation (EU) 2016/679 of the European Parliament and the Council of April 27th, 2016, MIWUKI S.L. informs to the interested parties that they have no obligation to designate a delegate of Data Protection. However, MIWUKI S.L. comes with a team in charge of guaranteeing compliance with the regulations on personal data protection, as well as informing and advising the interested parties and cooperating with the control authority. When registering, creating your profile and accessing our services, web, and platform. When you donate to MIWUKI S.L. When you use our Application. This information is gathered to offer you our products and services according to your interests, always trying to improve your experience as a user. MIWUKI S.L. creates a business profile based on the information you provide us. No automated decisions will be made based on that profile. MIWUKI S.L. will gather only those proper, applicable data and limited to what is required for the provision of our services. For what will we use your data? Generate statistics, organize services and events, manage ups and downs of the user’s registrations of the Application, manage applications or requests, send newsletters and magazines, receive assessment of the Application for its usage’s improvement, participate in raffles, promotions , marketing actions and advertising campaigns within the Application organized by Miwuki SL or by third parties with whom it collaborates; manage the commercialization and payment of products or services requested by them and send commercial communications, including electronic or equivalent to them regarding offers and services related to Miwuki S.L. both of the own or linked products, as well as those marketed by third parties with whom it collaborates. The personal data you provide to us will be kept while the business relationship continues and while you do not request its removal for one year from the last confirmation of interest. We may keep your personal information even after completing this requirement if necessary to comply with any legal obligation, and the data would remain blocked for the required time to meet the period set by the Law to proceed with its removal. The legal basis for the processing of your data is based on the obtaining of your consent, according to article 6.1a of Regulation (EU) 2016/679. You as a user, authorize MIWUKI S.L. in each case, to establish the contracts for the processing of data which are required to provide the service you have entrusted to us to do. MIWUKI S.L. verifies that all those in charge of processing with which it works, they comply with its security policies, maintain the security levels and the technical measures imposed by the regulations and follow its instructions in the provision and correct performance of the services for which they are hired. 1&1 Internet Spain S.L.U . ; as a web management service and hosted storage. You can check its legal notice HERE. When you click on “Follow” to an animal shelter so they can send you information about their services. When you adopt a pet to track the adoption and ease you the process of the animal’s adoption, as well as to send you advice on your pet or to inform you of new adoption possibilities. 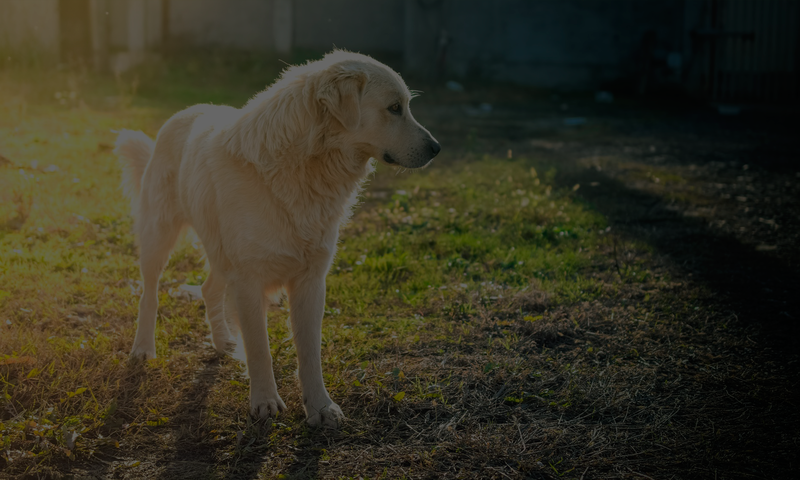 When you sponsor a pet so that they can inform you about the pet’s status or send you information about the services carried out by the animal shelter that is hosting the sponsored pet. When donating, the benefited animal shelter will use your contact information to thank you for the donation and also to send you information about their work and services. In all cases, only your contact information will be provided to the animal shelter you have “Followed,” the one that has the custody of the adopted or sponsored an animal or the beneficiary of the adoption. MIWUKI S.L. can share your information with the Google Drive, MailChimp, Spark post and Mailgun organizations located in the USA which provide you with an online platform service to keep in touch with other people. To ensure the level of protection required by the RGPD, this organization has declared its adherence to the Standards of the Privacy Shield before the US Department of Commerce. For more information on the Standards of the Privacy Shield, click HERE. MIWUKI S.L. will not rent or sell personal information neither shares your personal information with any advertiser or with advertising ad networks without your explicit permission. The usage of the available services on this website by minors requires that they have obtained previous authorization from their parents, guardians or legal representatives, who will be considered as legally responsible for any acts carried out by the minors under their care. The legal representatives of minors are entirely responsible for access to the Internet content and services by said minors. For this purpose, they have computer programs and blocking and filtering tools to access contents or websites which are not appropriate for children. MIWUKI S.L. will provide information to third parties when required by law, subpoena or judicial procedure. However, in the case of being transferred, data before delivery would be generated. MIWUKI S.L. implements the appropriate technical and organizational measures to provide a level of security adequate to the risk, ensuring the confidentiality, integrity, and availability of your data. Accessing to your user session is limited by username and password, this access is only for the owner’s profile. Verify that the server you are connected to, it is located in the right domain, even when links stored in favorites are used. Do not use web addresses (URL) or links received by electronic messaging (mail, SMS, etc.) in which you are requested to carry out any management with your data. Directly type in the addresses of the websites you wish to connect to. (h) provide your password to another person or use the username and password of another person. (k) that interferes with the Application, manipulates or tries to investigate, explore or examine vulnerabilities or in the Application’s computer systems or networks, or that it violates any of the security or authentication measures thereof. You accept that the Application may also recover your username for any reason. Likewise, the User must take into account that the information provided or dispose of will be public in the Application since it includes social and interactive functions, among which are the ability to add User Content, share content, interact with others Users, share pictures and make public some specific information about you. Remember that the information shared or made available to the public can be used and shared again by other Users in the Application or the network; for this reason, the User is advised to use with discretion and manage his/her account diligently. MIWUKI, S.L., is not responsible for his/her decisions to make public any action or material in the Application. The password protects the User’s account, and the User will be solely responsible for keeping his/her password confidential and secure. Therefore, he/she will be accountable for all use of his/her username and password in the Application. If the User loses or someone steals his/her username or password, or if he/she believes that there has been an unauthorized access to his/her account by third parties, he/she must notify us by sending an email to [email protected] and, In addition, he/she must change his/her password as soon as possible. MIWUKI, S.L., reserves the right to modify or disable the Application at any time and for any reason, as well as to apply overhead for the Application or the service provided to the user by these Terms and Uses. The User accepts that the terms of the agreement with the provider of his/her mobile network (“Mobile Service Provider”) will continue in force during the use of the Application. Therefore, the Mobile Service Provider may charge for network connection services while the Application remains connected to the network, or third-party charges may occur. The User accepts the responsibility for any expenses that may arise. If the User is not the billing holder of the phone or mobile device used to access the Application, it will be assumed that he/she has permission from the owner to use the Application. This Application is available to all Users through computers and portable mobile devices which work with the Apple iOS and Android OS and web access in general. MIWUKI, S.L., will make all reasonable efforts so that the Application is available at all times. However, the user accepts that the Application’s delivery is formed through the Internet and mobile networks and as a result, the quality and availability of the Application may be affected by factors beyond the control of MIWUKI, S.L. MIWUKI, SL is not responsible for the non-availability of the Application, the difficulties or failure of downloading or accessing its content, or any other failure in the communication system that could cause the Application to be unavailable. Also, it neither will be responsible for technical service or maintenance of the Application. To use the Application, the user must have a compatible computer, phone or mobile device with an internet connection that meets the minimum specifications («Software requirements»). The software version of the application may undergo periodic updates to add support for new features and services. MIWUKI, S.L., may terminate the use of the Application for the user at any time upon notification thereof. Upon completion of such use, all rights and licenses granted to the user will also be terminated, and the user must stop using the Application. What rights you have regarding data you provide us? You have the right to obtain confirmation about whether in MIWUKI S.L. we are processing the personal data that concerns you, or not. Likewise, interested persons have the right to access their data, as well as to request the correction of inaccurate data or, where appropriate, to seek the removal when, among other reasons, the data is no longer necessary for the purposes for which were collected. In certain circumstances, the interested parties may request the limitation of the processing of their data, in which case we will only keep it for the exercising or the claims advocacy. In certain conditions and for reasons related to their particular situation, the interested parties may object to the processing of their data. MIWUKI S.L. will stop processing the data, except for compelling legitimate reasons, or in the exercising or possible claims advocacy. You have the right to request the portability of your data as well as to withdraw consent for your data processing at any time. You can exercise your rights by contacting MIWUKI S.L., through the contact data mentioned above, indicating as subject “LOPD, Rights,” and you must attach a photocopy of your National Identity Document or any other means valid in law. What obligations do you have regarding the information you provide us? You, as the proprietary of your data, must guarantee the accuracy of the same and you agree to communicate us any changes that may occur to them. The sending of personal data is mandatory to contact and receive information about the products and services of MIWUKI S.L. Failure to provide the requested personal data or inability to accept this data protection policy means that it is impossible for you to subscribe, register or receive information about the products and services on the website. As a user, you are committed that the information provided to MIWUKI S.L. about third parties has been collected according to the regulations in force and having obtained the consent of the owner of the data. As a user of this website you agree to use the site, services, content and this legal notice by the law, principles, good customs, and public order. You agree not to carry out advertising, promotional or commercial exploitation activities through the web, or use the contents and, in particular, the information obtained through the Portal to send advertising, send messages for direct sales or with any another commercial purpose, nor to collect or store third parties’ data. This website may contain links to third-party sites, whose privacy policies are alien to MIWUKI S.L., when accessing such websites you must decide if you accept their privacy and cookies policies. This LEGAL NOTICE will frequently be updated so that the conditions that are in force and the published ones at the usage time of the website or services will be applicable. Please read this information carefully before continuing with its use, as well as periodically, so that you can be fully informed. If you have any questions regarding this Legal Notice, you can contact us by using the contact information previously mentioned. You declare that you have been informed of the conditions regarding the personal data protection, by accepting and agreeing to the manual and automated processing thereof by MIWUKI S.L. in the form and for the purposes indicated in this Policy of Protection of Personal Data. You can cancel any authorization at any time by contacting MIWUKI S.L. The applicable legislation to this LEGAL NOTICE will be the Spanish legislation, and the competent jurisdiction of any claims that may arise in this website will be to the Courts of MURCIA, the user explicitly renounces to any other court that may correspond to him/her. The links contained in our portals can direct to third parties’ Web contents. The only purpose of these links is to ease you the search of the resources in which you may interest through the Internet. However, these pages do not belong to MIWUKI S.L. nor does it review their contents and, therefore, MIWUKI S.L. does not assume any responsibility for the content, information or services that may appear on these sites, which will be exclusively informative and that in no case imply any relationship between MIWUKI S.L. and to the persons or entities holding such content or owners of the sites where they are located. MIWUKI S.L. neither can it be held responsible for the operation of the linked page or the possible damages that may arise from the access or use thereof. The establishment of the link will not imply any agreement, contract, sponsorship or recommendation by MIWUKI S.L. of the page that generates the link. The web page on which the hyperlink is established will not contain information with contents that are illegal, discriminatory, contrary to commonly accepted ethical principles or attempt against the public order, nor include contents contrary to any rights of third parties. MIWUKI S.L. may request a link to be removed from its website, without the need to claim any cause. In this case, the page that generates the link should proceed to its immediate removal, as soon as it receives the notification from MIWUKI S.L. MIWUKI S.L. is not responsible in any way nor guarantees the quality, accuracy, reliability, correctness or morality of content or services that the establishment of the hyperlink can offer. The user assumes under his/her responsibility the consequences, damages or actions that may arise from accessing the hyperlink’s web page. The web page on which the hyperlink is established may not contain a trademark, denomination, logo, slogan or other distinctive signs belonging to MIWUKI S.L. except those signs that are part of the same hyperlink. All the elements that compose the website, as well as the structure, design, source code, as well as the logos, trademarks and other distinctive signs that appear in itself, are owned by MIWUKI S.L. or of its collaborators and are protected by the corresponding intellectual and industrial property rights. Likewise, the images and other graphical elements contained thereof are protected by the corresponding intellectual and industrial property rights. MIWUKI S.L. expressly prohibits the making of “framings” or the use by third parties of any other mechanisms that alter the design, original configuration or contents of our portals. The use of the contents must respect their particular licensing. In such way, their use, reproduction, distribution, public communication, transformation or any other similar or analogous activity, is forbidden unless prior and express authorization of MIWUKI S.L. Regarding the appointments of products or services of third parties, MIWUKI S.L. recognizes in favor of their owners the equal rights of industrial or intellectual property, not implying their mere mention or appearance on the Web, the existence of rights nor any responsibility on them, as well as support, sponsorship or recommendation. MIWUKI S.L. does not guarantee the absence of errors in the access to the Web, in its content, nor that it’s updated, although it undertakes to make the best efforts to, where appropriate, avoid, correct or update them. Both the access to the Web of MIWUKI S.L. and the use that can be made of the information contained therein is the exclusive responsibility of the person who carries it out. MIWUKI S.L. is not responsible for the possible security errors that may occur or the potential damage that may be caused to the user’s computer system (hardware and software), files or documents stored therein, as a result of the presence of viruses in the user’s computer used to connect to the services and contents of the Web, a malfunction of the browser or the use of non-updated versions of itself. MIWUKI S.L. is not responsible for the information and the stored content, included but not limited to forums, chats, blogs, comments, social networks or any other means that allows third parties to publish content independently on this website. However, in compliance with the provisions of the LSSI, MIWUKI S.L. It is made available to all users, authorities and security forces, actively collaborating in the withdrawal or blocking of any content that may affect or contravene national or international legislation, third-party rights or morality and public order. If you consider that there is any content on the website that could be susceptible to this classification, please contact MIWUKI S.L. MIWUKI S.L. is not responsible for the responses that are made through the different email addresses which appear on its website so that in no case can legally binding effect be derived from them. The web servers of MIWUKI S.L. automatically detect the IP address and domain name used by the user. All this information is recorded in a server activity file which allows the data’s previous processing to obtain statistical measurements that would enable knowing the number of page impressions, with the number of visits made to web services, etc. _ga, _gid; are cookies used by the Google Analytics service to distinguish users. pll_language; this cookie is used to save the selected language in the navigation.